The Developmental Genome Anatomy Project (DGAP) is an initiative developed in 1999 by Cynthia Morton and other investigators at Harvard-affiliated institutions to identify genes involved in human development. DGAP takes advantage of naturally occurring human mutations resulting from apparently balanced chromosome rearrangements (BCAs) in individuals with major congenital anomalies, exploits rapid advances in biological resources available from the Human Genome Project, and coordinates a highly talented, committed and integrated group of researchers with expertise in cytogenetics, genomics, and molecular, computational and developmental biology. This gene discovery project is a natural extension of the application and translation of the complete human DNA sequence, and embodies fully the concept of functional genomics in humans. The long-term aim of DGAP is an understanding of the genetic basis of birth defects, and the underlying molecular basis of development. It is well known that major birth defects in humans may be caused by alterations in chromosomes. 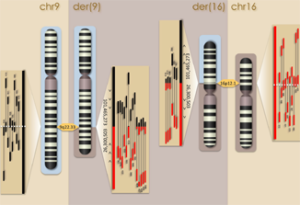 The study of chromosomes has provided valuable insight into the etiology of human birth defects over the past five decades, and a chromosome analysis is now a routine part of diagnostic evaluations in the developed world for infants with congenital disorders. Apparently balanced chromosomal abnormalities (BCAs) in association with a clinical phenotype often indicate location of a gene relevant to the disorder. At least 1% of individuals with autosomal dominant disorders due to haploinsufficiency or dominant negative mechanisms may result from BCAs, as well as many females affected with X-linked recessive diseases. DGAP has been funded by the National Institutes of Health (NIH) through the National Institute of General Medical Sciences (NIGMS) since 1999. We are actively recruiting new participants to our study and would be delighted to speak to interested clinicians, geneticists or genetic counselors as well as participants and families who would like to know more about us! 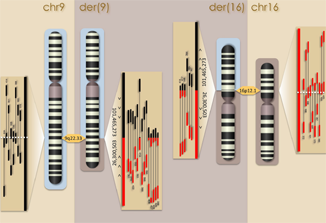 DGAP has been around for over 19 years now and we have become very experienced with chromosome rearrangements, so we would be happy to discuss your case and answer your questions, big or small! Our Project Manager can be contacted by email at dgap@rics.bwh.harvard.edu or telephone (+001) 617-525-4548.